We all know that we need to budget for tax and VAT bills but sometimes our cash flow can’t cope with the bills or the bill can be larger than you expected. Managing these liabilities can be difficult when you are trying to maintain healthy cash flow and grow your business. If this sounds familiar, then maybe a loan to cover your tax and VAT bills might the solution you need. These short-term loans are designed for the specific purpose of spreading out your bills into more manageable payments. Below we have looked at what some the leading providers can offer. The table below gives a quick comparison of the top UK providers for VAT & business tax loans. Some of the features and benefits of Braemar Finance’s VAT & business tax loans. Braemar Finance is a specialist business loan provider offering loans that are designed for a variety of funding needs which includes tax loans and VAT loans. These loans are non-secured loans and are quick and simple to arrange. They offer competitive rates and flexible repayment terms. Payments can be paid directly to the HMRC or to your bank account. Braemar Finance’s VAT loans are designed to help businesses to even out the expense of VAT payments over 3 to 12 months and reduce the impact on working capital. Their tax loans are created to allow you to split your tax bill into fixed and affordable monthly payments. Some of the features and benefits of White Oak’s VAT & business tax loans. 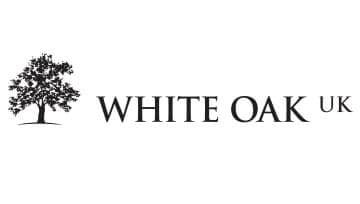 White Oak is a non-banking finance provider who is one of the largest independent lenders offering loans to small businesses. They offer short-term business loans that can be used for a variety of purposes which includes VAT payments, corporation and income tax and working capital. White Oak’s short-term business loan offers unsecured loans from £2,000 to £500,000 over repayment terms of 3 to 12 months. They offer short-term loans over 3 months that can be interest-only. The loan has a straightforward application process that can be turnaround within 24 hours as it has no red tape and they accept 4 out of 5 applications. Some of the features and benefits of Catalyst Business Finance’s VAT & business tax loans. Catalyst Business Finance is an independent business finance provider that offers a range of loans which includes a specific loan product for VAT loans. Their VAT loans are designed to have a fast turnaround with a light touch application process. Their loans are affordable with interest rates starting at 1.5%. Catalyst Business Finance’s VAT loans are available on a 3-month term to help you spread the cost of your quarterly VAT payments into weekly or monthly repayments. Loans are available from £25,000 and have no maximum loan value. It is available to limited companies and LLPs, but they required a personal guarantee from at least one of your directors. Some of the features and benefits of ABC Finance’s VAT & business tax loans. 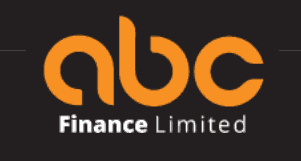 ABC Finance is a finance broker who works with a panel of brokers to offer a wide selection of business loans that include VAT loans that are designed as a loan that is suitable for a variety purposes including corporate tax payments, PAYE, quarterly VAT payments and VAT on property purchases. ABC Finance’s VAT loan spreads the cost of your liabilities and reduces the impact on your cash flow. Loans are available from £10,000 to £500,000. As a broker, they will search the market for you to find the best deal for your circumstances and they state there are no broker or upfront fees to pay. Some of the features and benefits of Merchant Money’s VAT & business tax loans. Merchant Money is a specialist provider of financial products for small businesses in the UK which includes tax and VAT loans. They will offer you their expertise to help manage your VAT bills more effectively. Their loans will help you to spread the cost of your tax and VAT liabilities and maintain a better level of working capital. Merchant Money’s tax and VAT loans provide short-term funding up to £150,000 for periods of 1 month up to 6 months. They will tailor the loan to meet your business needs and they can turn loans around in as little as 24 hours. Some of the features and benefits of Nationwide Corporate Finance’s VAT & business tax loans. Nationwide Corporate Finance is a specialist business finance provider who offers a wide range of loan products which include a specific VAT and tax loan product. Their VAT and tax loan can be an unsecured or secured loan. The loan is designed to help spread the costs of your business expenses and maintain your cash flow. Nationwide Corporate Finance’s VAT and tax product offer loans from £10,000 up to £500,000 for periods over 1 to 5 years. They offer a very quick turnaround on their decisions in as little as 2 hours and funding can be received as quickly as 24 hours. Some of the features and benefits of WestWon’s VAT & business tax loans. WestWon is a specialist business lender offering a range of loans and lease products. Their loans are designed specifically for corporate tax and VAT which are tailored solutions to help businesses cope with these liabilities and avoid expensive fines. WestWon’s tax and VAT loans are available for amounts over £3,000 on an unsecured basis. They have a simple and quick application process and decisions can be made within 24 hours. VAT loans are available over three months to help you pay your quarterly VAT bill and you can take out a loan each quarter. Corporate tax loans are available over 6 to 12 months to spread your tax liability. Some of the features and benefits of CMF Business Finance’s VAT & business tax loans. CMF Business Finance is a specialist financial provider for businesses that offer a range of loans and finance options which include short-term loans that can be used to pay VAT and tax bills. Although they do not offer specific products for VAT and tax their generic short-term loan is suitable. CMF Business Finance’s short-term loan is flexible can be used to spread the costs of your tax bill. It can also be used to cover your VAT bill and they can turn the loan around in 24-hours. Their loans are tailored to your need but start at 6-month terms and rates from 3%. Some of the features and benefits of Bluestar Leasing’s VAT & business tax loans. Bluestar Leasing is an independent business finance provider that offers a range of asset finance and commercial loan products to UK businesses. Their commercial loan product is a generic loan that they can tailor to meet your needs which includes paying for VAT and tax liabilities. Bluestar Leasing’s commercial loan is available as either a secured or unsecured loan for values over £3,000 and offers flexible loan terms with terms from 3 months to 5 years. They offer a fast loan process with credit approvals normally completed in 48 hours and that money will be released soon afterwards. Some of the features and benefits of Satellite Finance’s VAT & business tax loans. 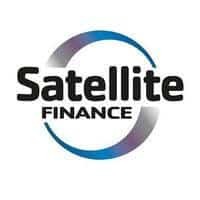 Satellite Finance is a specialist financial provider to businesses offering a range of products including asset finance, loans, vehicle finance, invoice finance and commercial mortgages. Their loan products include a loan specifically designed to pay tax and VAT. Their corporate tax and VAT loans are a short-term loan that can be a secured or unsecured loan with repayment terms as low as 1 week or up to 5 years. Satellite Finance’s corporate tax and VAT loan enables businesses to breakdown their bills into manageable chunks and avoid fines from the HMRC. These loans are quickly turned around, potentially within 24 hours for loans from £1,000 to £25,000. Some of the features and benefits of BloomSmith’s VAT & business tax loans. BloomSmith is a specialist finance provider that offers products specifically for paying VAT liabilities from purchasing a commercial property. You can borrow the full VAT liability for loans from £50,000 with no maximum limit. They offer this as a short-term loan to bridge the gap in having to pay the VAT and whilst you are waiting to recover the VAT from the HMRC. BloomSmith’s VAT loan is a flexible product that will cater for your needs but requires you to hold the property purchased in a Special Purpose Vehicle. There is no limit on the loan value and the number of VAT loans you can hold with them. Some of the features and benefits of Wesleyan Bank’s VAT & business tax loans. Wesleyan Bank is a financial provider that offers a range of business finance solutions that are tailored to the specific needs of several professions and small to medium-sized businesses. Their range of loans includes two specific loans for tax and VAT payments. Wesleyan Bank’s tax and VAT loans enable businesses to spread the cost of their tax and VAT bills into fixed monthly repayments that are more manageable. These loans offer competitive rates on an unsecured basis. Tax loans terms are for 6 to 12 months and VAT loans for 3 to 12 months to match your VAT payment frequency. Some of the features and benefits of Rangewell’s VAT & business tax loans. Rangewell is a financial services broker offering a wide range of loans and financial products to businesses in the UK. 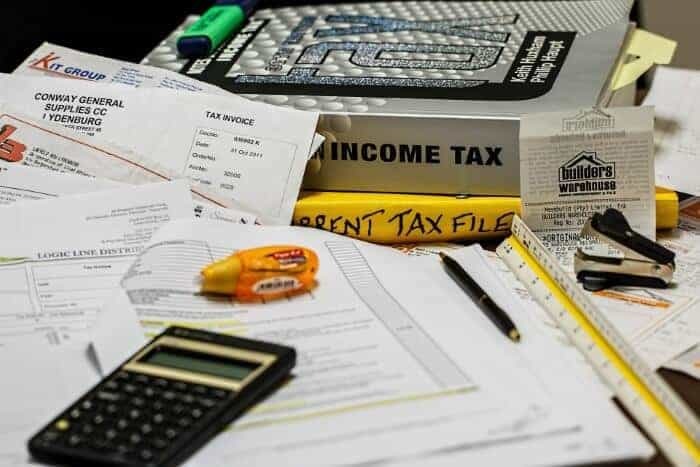 Their business loans range includes VAT and tax loans that are a short-term loan that is designed to meet the needs of businesses who can’t afford to pay their tax or VAT bill when it is due. Rangewell’s tax and VAT loan will pay the liability and make the bill more manageable with fixed monthly repayments which ease your tax flow burden and avoid penalties. In most cases, the loan will be an unsecured loan and they can turn some loans around in as little as 24 hours. Some of the features and benefits of PFC Finance’s VAT & business tax loans. PFC Finance is a financial service broker with a panel of over 60 lenders and offers financial products and loans. Their loan range includes a specific loan tailored to meet the needs of paying tax and VAT bills. Tax liabilities include self-assessment tax, corporation tax, partnership tax and other tax. PFC Finance’s tax and VAT loan help businesses to spread the cost of their liabilities over several months into more manageable fixed monthly repayments. VAT loans are available over 3 months to match the quarterly bills. Tax loans are typically available up to 12 months but depending on your circumstances they will consider loans up to 5 years. Financial Disclosure: We may be paid a fee if you visit Know Your Money via the link above or use Funding Options to take out a loan.